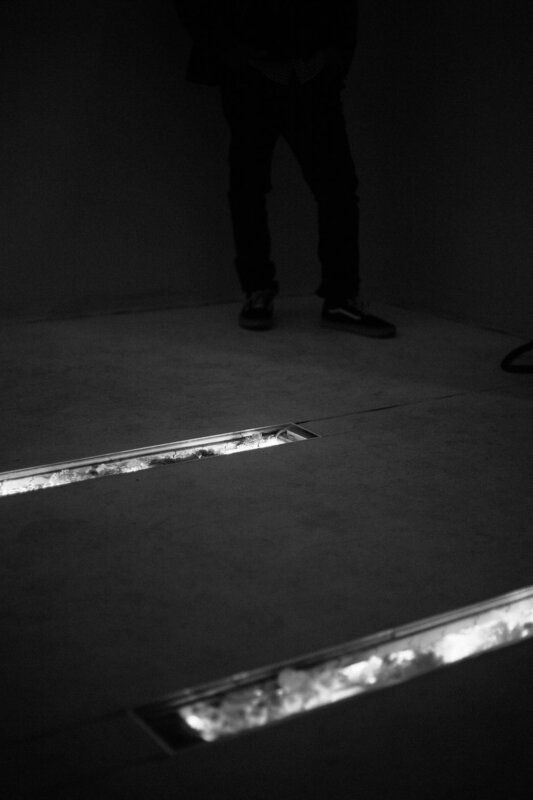 Excavacíon is an installation examining how light and space can evoke notions of memorial. A simplistic ephemeral gesture, the work does not add objects to the space but lives inside the ground beneath your feet. Plexiglass replaces floorboards exposing a glowing flower arrangement filling the room with light and scent, both untouchable but very much present.